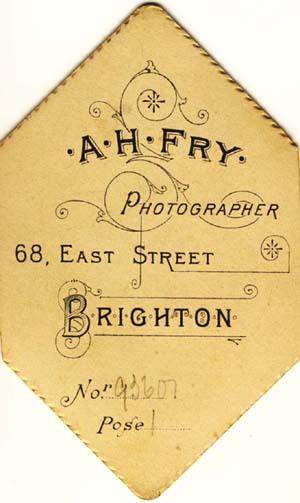 Allen Hastings Fry took control of the photographic studio at 68 East street, Brighton when his older brother Walter Henry Fry retired from the business around 1897. 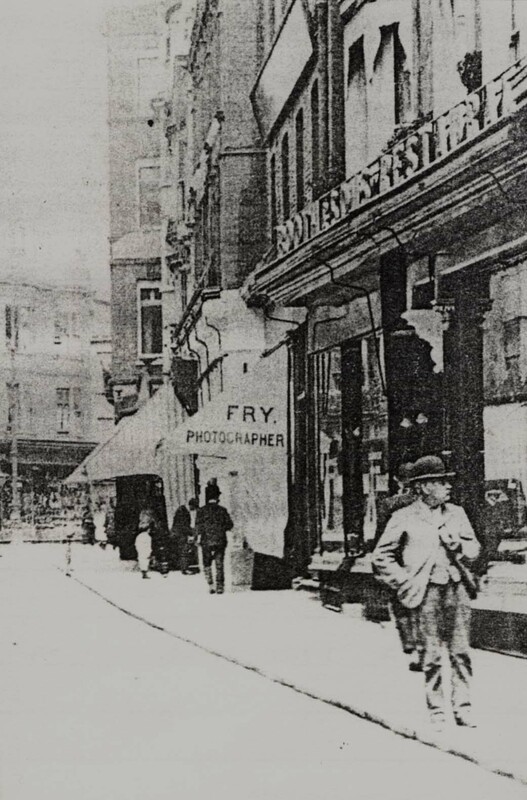 Allen Hastings Fry was to operate as a photographer from 68 East street for another 25 years. 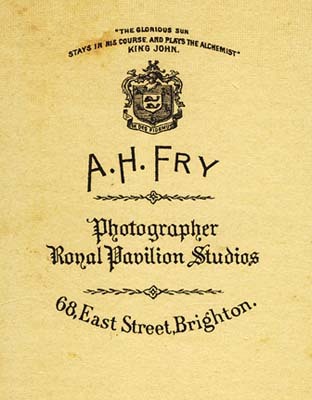 ( A. H. Fry is listed as a photographer at 68 East street, Brighton in the 1922 edition of Kelly's Directory of Sussex. When the 1901 census was taken, Allen Hastings Fry was still living at 13 Hanover Crescent, Brighton with his wife Leonie. Allen H. Fry is described on the census return as a "Photographer (own account)", aged 53. His wife, Mrs Leonie Fry, perhaps conscious of the age difference between her and her husband, gives her age as 52, when in fact she was in her early sixties. ( Leonie had also reduced her age by ten years from 52 to 42 when the 1891 census return was completed ). Allen Hastings Fry and his wife Leonie resided at 13 Hanover Crescent, Brighton for over 20 years. By 1911, Allen Hastings Fry had moved out of the centre of Brighton and was residing at 8 Addison Road, Hove. Allen Hastings Fry was still living in Hove when his wife died during the 2nd Quarter of 1915, at the age of 76. Although Allen Hastings Fry was a successful photographer with a long, distinguished career, he had a wide variety of interests outside of photography. In the late 1890s A. H. Fry was the Honorary Secretary of the Brighton branch of the Royal National Lifeboat Institution and for twenty years he was Captain of the Brighton Volunteer Fire Brigade. Fry was also a Sub-Lieutenant in command of the Royal Naval Artillery Volunteers up to their disbandment in 1892. ( It seems ironical that Allen Hastings Fry, the son of a Quaker peace activist, was so interested in military activities. An article published in the magazine The Professional Photographer' in 1916, pointed out that, as a photographer, Allen Hastings Fry actually "specialized" in "military" work ). Allen H. Fry was a keen cyclist and sportsman. For many years, Allen Fry was an enthusiastic member of the Brighton Bicycle Club. ( In 1878, a cycling magazine referred to Allen Fry as " Mr Fry, the eminent photographer of Brighton, a member of the Brighton B.C. (Bicycle Club) and a great cyclist". The article entitled "A. H. Fry - Brighton" published in the magazine 'The Professional Photographer' in 1916, mentions that Fry's studio dressing-room contained a glass case holding "over thirty pieces of plate which would have been either presentations or else trophies won in various sports." Fry regularly visited the National Rifle Association meetings at Wimbledon and Bisley. Even in his sixties, Allen Hastings Fry was a physically active man. In 1916, at the age of 68, he was photographed with his bicycle, which he used for his lengthy photography trips. By his own admission, Fry frequently went out in the Brighton lifeboats when he was working for the Royal National Lifeboat Institution (R. N. L. I.). Allen Hastings Fry died in Hove, Sussex, during the 4th Quarter of 1931, at the age of 84. [ABOVE] Portrait of Allen Hastings Fry (1847-1931), an illustration taken from the magazine "The Professional Photographer", June 1916. [ABOVE] A portrait of Sir Charles Thomas-Stanford (1858-1932) by Allen Hastings Fry of 68 East Street Brighton (c1910). 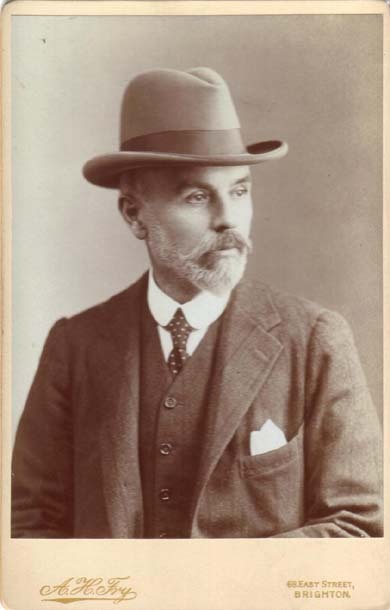 A. H. Fry took portraits of many of the leading figures in Brighton. Charles Thomas-Stanford was the Mayor of Brighton from 1910 to 1913 and was elected Conservative Member of Parliament for Brighton in 1914. 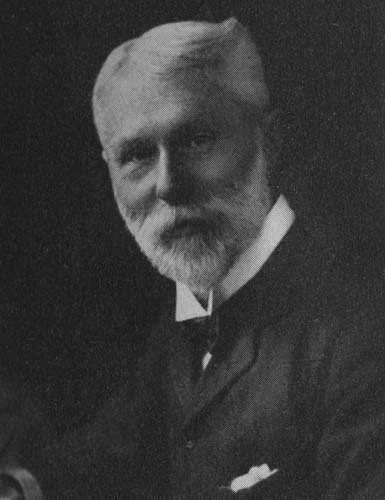 Charles Thomas-Stanford, M. P. represented Brighton from 1914 until 1922. Sir Charles Thomas-Stanford bequeathed Preston Manor, his family home, and the surrounding grounds to Brighton Corporation in 1925. On 14th October 1933, nineteen months after his his death, Preston Manor was opened to the public as a house of historic interest. [ABOVE] The studio premises of A. H. Fry, Photographer, at No 68 East Street, Brighton (c1905). The junction of East Street with Bartholomews can be seen in the background of this photograph. East Street was, and still is, a fashionable shopping area of Brighton. Next door to Allen Hastings Fry's photographic studio at No.68 was a large double-fronted building at No. 69 & 70 East Street, the business premises of Edwin Booth & Sons, Pastry Cooks and Confectioners. A. H. Fry's former business premises at 68 East Street, Brighton still stands today. 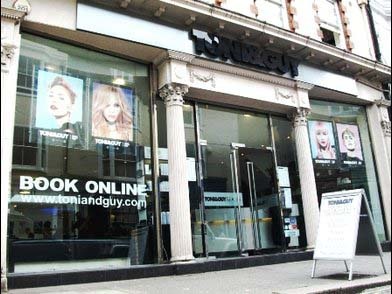 When this webpage was updated in 2012, the site at No 68 East Street, Brighton was occupied by the Brighton branch of the well known firm of hairdressers, Toni & Guy. [See modern photo on the left]. Kate Lucy Oliver was born in Battersea Rise, Wandsworth, London, on 29th February 1868 and was baptised in Battersea on 5th November 1871. Kate was the youngest of two daughters born to Harriett E. Wilkins and Charles Oliver, a school master. Charles Oliver (born 1838, Battersea, London) had married Harriet Wilkins (born c1837, Battersea, London) in the district of Wandsworth early in 1866. The couple's first child, Ellen Harriett Oliver, was born in Wandsworth on 23rd November 1866. Their second daughter, Kate Lucy Oliver, arrived 15 months later. In her twenties, Kate Oliver pursued a career on the stage. 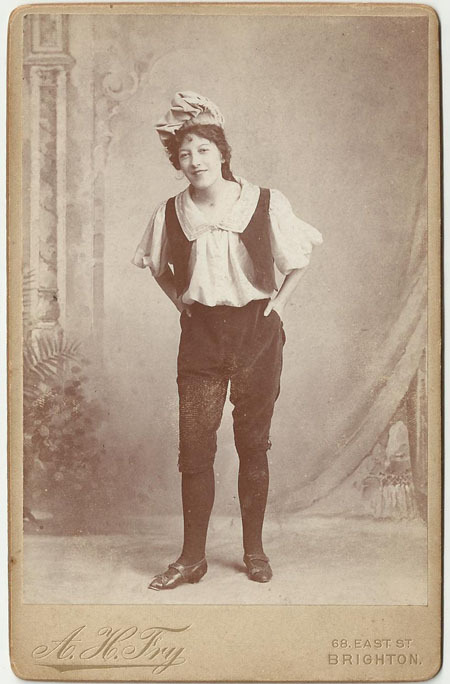 A talented singer, Kate Oliver joined the chorus of The D'Oyly Carte Opera Company in the mid-1890s. Miss Kate Oliver sang in the chorus in the D'Oyly Carte production of Gilbert & Sullivan's The Mikado at the Savoy Theatre in July 1896. The following year, Miss Oliver appeared in the revival of Gilbert & Sullivan's The Yeoman of the Guard which was performed at the Savoy Theatre in May 1897. 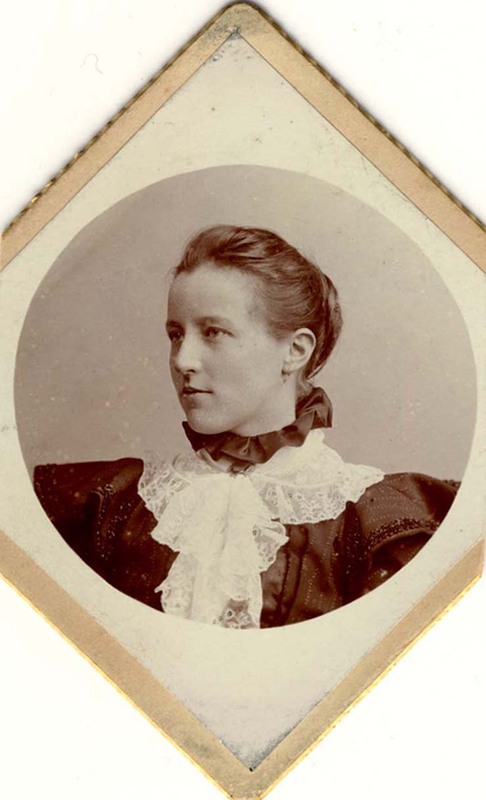 Kate Oliver moved with her mother to Brighton around 1900. Kate's stage career came to an end when she married Frederick Newman Batchelor (born c1866, Forest Row, Sussex) in Brighton during the 3rd Quarter of 1903. Kate's husband, Frederick Batchelor, a widower with three young children, was the proprietor of a hansom cab. On 2nd February 1905, at Shoreham-by-Sea, Mrs Kate Batchelor gave birth to a daughter named Edith Batchelor. When the 1911 census was taken, Kate and Frederick Batchelor, described as a 44 year old "cab proprietor", were residing at 7 Western Road, Shoreham-by-Sea, with their four children - Dorothy Eleanor (born 1897) Frederick Edgar (born 1899), Reginald Eric (born 1902) and Edith Batchelor (born 1905) and Kate's mother, Mrs Harriett Oliver. [ABOVE] A cabinet portrait of the singer Kate Lucy Oliver (1868-1944) wearing her stage costume, photographed by A. H. Fry of 68 East Street, Brighton (c1902). 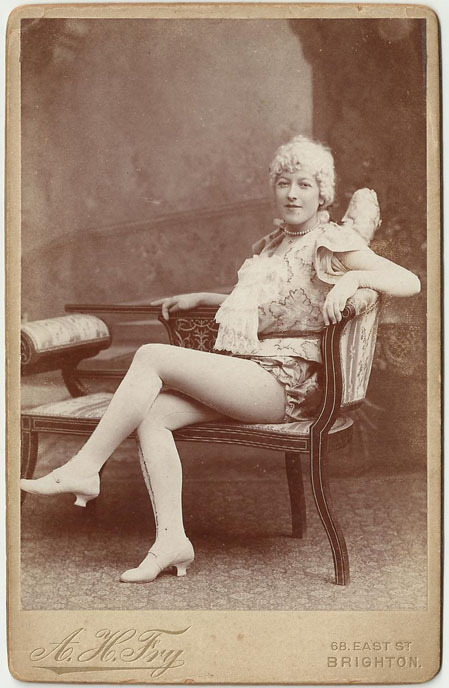 [ABOVE] A cabinet portrait of Kate Lucy Oliver (1868-1944) in a blonde wig and tights, photographed by A. H. Fry of 68 East Street, Brighton (c1902). Thanks to Alison Mackay for providing the two cabinet portraits of her great grandmother Kate Lucy Oliver. Alison's grandmother was Edith Batchelor, daughter of Kate Batchelor (Oliver). In the article published in 'The Professional Photographer' in June 1916, Allen Hastings Fry looked back over his long photographic career. The magazine observed that Mr Fry appeared to be "a portrait photographer glad to get away from the confinement of his studio." In the interview, A. H. Fry revealed that over a period of twelve months he had "photographed two hundred Public School Cadet and Officers' Training Corps", adding the observation that he had "travelled over 9,000 miles during the year I was taking the photographs." 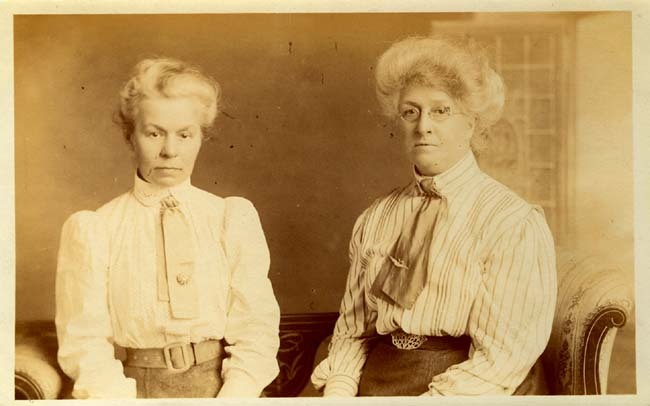 [ABOVE] Portrait of two women, a postcard portrait by A. H. Fry of 68 East Street Brighton (c1916). Allen Hastings Fry began taking photographs in 1856 at the age of nine. This was when commercial photography was in its infancy and the "wet collodion" process using glass plates had only recently been introduced. During his long photographic career which spanned about 60 years, Fry witnessed the the introduction of novel photographic formats such as the "carte-de-visite" and the "cabinet" and new technical processes such as "dry plate" photography and "instantaneous photography". 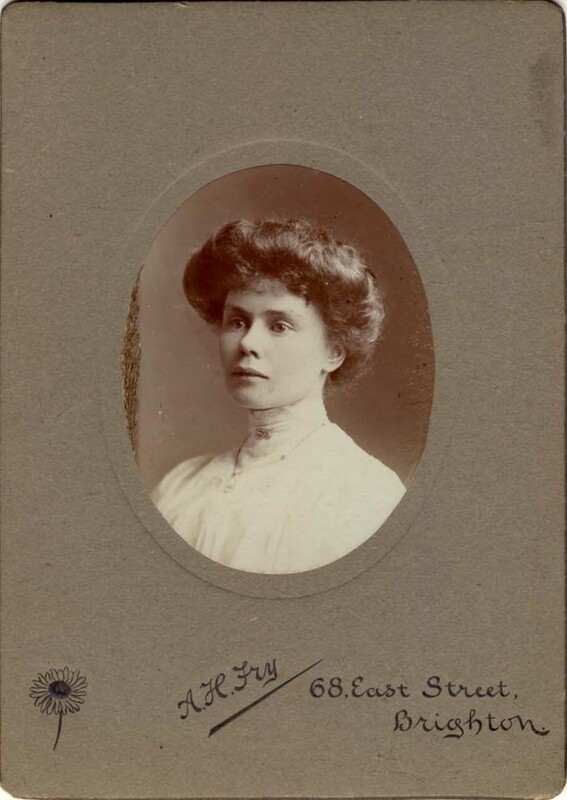 A. H. Fry was still in business as a photographer when the picture postcard format gained popularity during the first two decades of the twentieth century. Towards the end of his long career as a professional photographer, Allen Hastings Fry was taking photographic portraits in postcard format and publishing sets of picture postcards on a single theme or subject matter (see below). 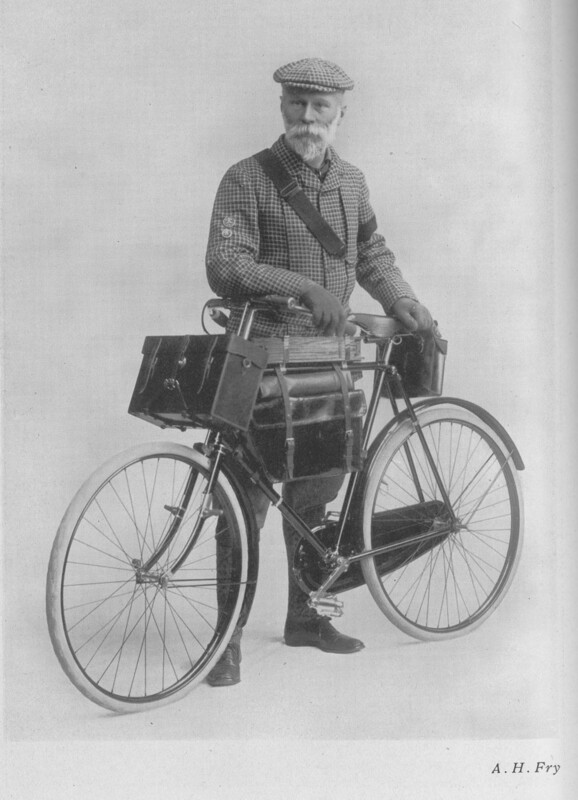 [ABOVE] Portrait of Allen Hastings Fry, with his photographic equipment strapped to his bicycle. An illustration taken from the magazine "The Professional Photographer", June 1916. [ABOVE] The Military Hospital for Indian Soldiers at the Dome in Brighton by Allen Hastings Fry (c1915). 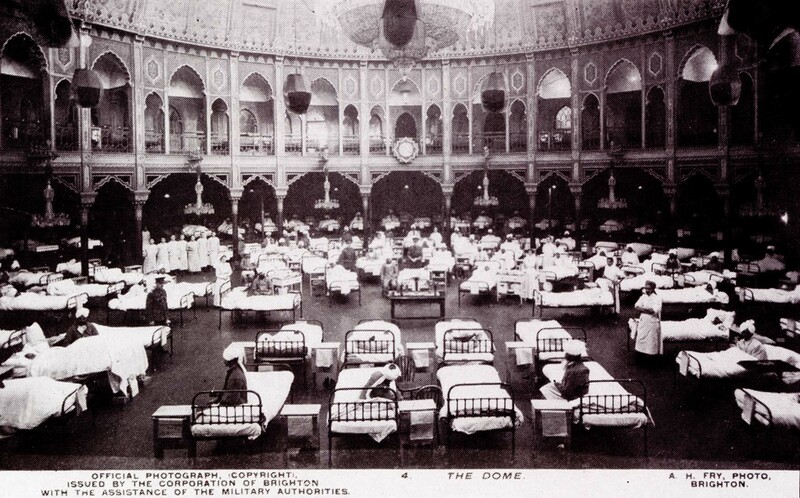 Other military hospitals for Indian soldiers were set up at the Royal Pavilion and the Corn Exchange in Brighton. 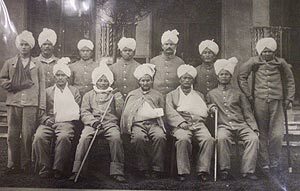 A set of 28 picture postcards featuring A. H. Fry's photographs of the Indian Hospitals and wounded Indian soldiers were issued by the Corporation of Brighton around 1915. 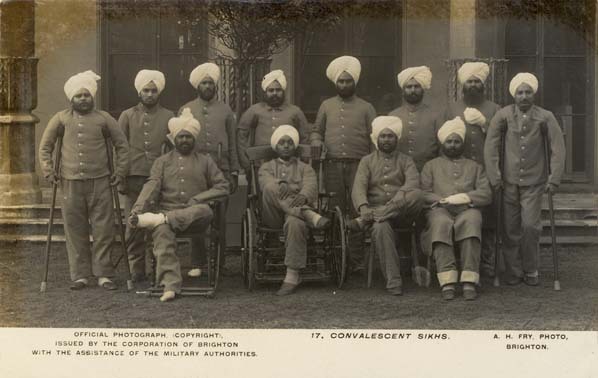 [ABOVE] A group portrait of Indian Sikh soldiers convalescing at Brighton's Royal Pavilion Hospital. 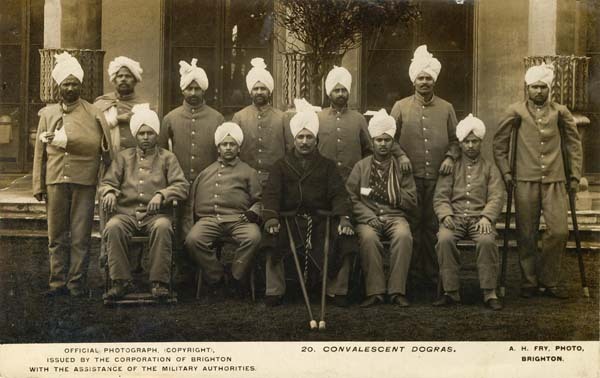 An official photograph taken by Allen Hastings Fry of 68 East Street, Brighton, which was issued as a picture postcard by the Corporation of Brighton (c1915) [ABOVE] A group portrait of Indian Dogra soldiers convalescing at Brighton's Royal Pavilion Hospital. An official photograph taken by Allen Hastings Fry of 68 East Street, Brighton, which was issued as a picture postcard by the Corporation of Brighton (c1915).